Forests are important moderators of global atmospheric CO2 emissions, making them a key focus of terrestrial C-cycling research. 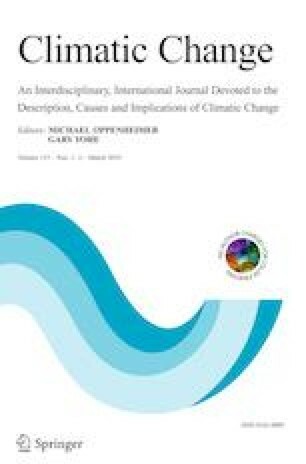 The 5th assessment report of the Intergovernmental Panel on Climate Change explicitly calls upon nations to enhance C-stock accounting and mitigate losses of global forest C sinks, which inherently will require more accurate and higher spatial resolution carbon accounting. Monitoring and predicting how disturbances, such as invasive species, influence forest C stocks and the transfer of C from live to dead pools remains a high priority both in the scientific and policy communities. We documented the effects of invasive North American beavers (Castor canadensis) on C-sequestration of riparian Nothofagus forests in Tierra del Fuego, Chile. Our paired plot sampling design quantified significant losses from beaver invasion in total aboveground, live standing, dead standing, and dead and downed C stocks (P < 0.001, paired t tests). We extrapolated stand-level C losses to the entire study area using a Maxent habitat suitability model and estimated that 1.177 (± 0.103) Tg C would be lost if all of the predicted 18,384 ha of invasible habitat (14% of the total forested area) were colonized by beavers. These results document the impacts of invasive mammals on large terrestrial C sinks and highlight the need for understanding the magnitude of such effects across both landscape- and regional-scales. The authors wish to thank Daniela Droguett, Camila Mena Ruíz, Nicol Gallardo Ros, Rodrigo Munzenmayer Muñoz, Miguel Barrientos Hernandez, and all the other park rangers from Karukinka Park. They also thank Dr. Andrew Barton from the University of Maine at Farmington for helpful comments in preparation of the manuscript. Chloe Papier designed the study, did all of the field work and analysis, and wrote the paper. Helen Poulos designed the study, assisted with analyses, and helped write the paper. Alejandro Kusch assisted with the study design and the field component of the study. Funding for this research came from a Middlebury Sustainability Grant and a Wesleyan University College of the Environment Fellowship.